New information shows that Lockheed Martin’s HELIOS laser weapons system may eventually replace Gatling guns and missile launchers on US Navy ships. HELIOS, named after the god of the sun in Greek mythology, shoots laser beams far stronger than anything that has ever been used on a US Navy ship before — the beams are planned to be 150 kilowatts. In contrast, the Laser Weapon System (LaWS) that was mounted on the amphibious transport dock of the USS Ponce in 2014 had a laser strength of about 30 kilowatts. 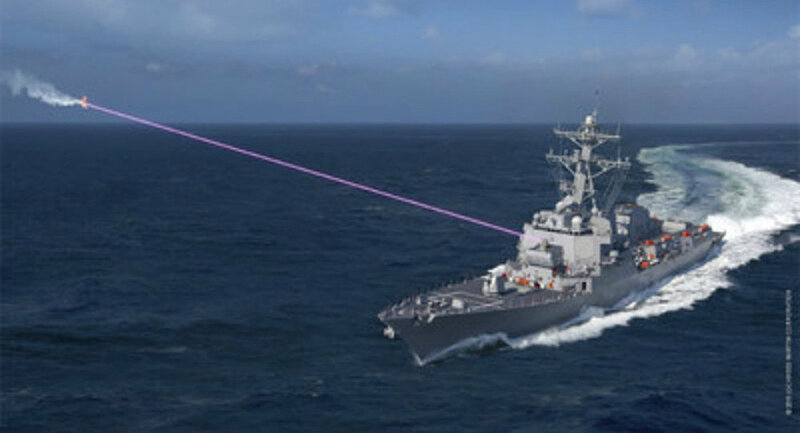 As reported last month by Sputnik News, the Navy plans to put a HELIOS laser weapon on ships within 24 months. According to materials obtained from Lockheed Martin at the 2018 SeaAirSpace expo at National Harbor, Maryland, by We Are The Mighty, HELIOS is a candidate to replace the MK-15 Phalanx Close-in Weapons System (CIWS) and the RIM-116 missile system on the US fleet. The Phalanx MK-15 weapons system is a radar-guided 20mm Gatling gun providing "inner layer point defense capability against anti-ship missiles, aircraft and littoral warfare threats," according to a US Navy fact file. The Phalanx is unique in that it is "the only deployed close-in weapon system capable of autonomously performing its own search, detect, evaluation, track, engage and kill assessment functions." HELIOS also has the potential to replace the RIM-116 lightweight, quick-reaction, fire-and-forget missile system, We Are The Mighty reported Thursday, citing the materials from Lockheed. The RIM-116 Rolling Airframe Missile (RAM) is produced jointly by the US and Germany for point defense on ships facing incoming cruise missiles in addition to asymmetric threats and surface threats. Analyst Mark Gunzinger of the Center for Strategic & Budgetary Assessment said in March that HELIOS' ability to operate without physical storage of ammunition shows the US Navy is willing to transition to non-kinetic weapons.However, creating and storing adequate electricity for the system remains a problem to be solved. According to We Are The Mighty, HELIOS actually has comparable range to the RIM-116 (about 5 nautical miles) and potentially unlimited ammunition, assuming the power generation question is taken care of, thus making it a prime replacement for the gatling guns and missile systems that currently provide close-range defense. "We are talking about lasers that now have the power and beam quality needed to defend against [unmanned aerial vehicles], small boat threats and possible some weapons (eg incoming missiles) over short ranges," according to Gunzinger.